It’s like they say: You can lead a cat to a microphone, but you can’t make her tell monologue jokes. 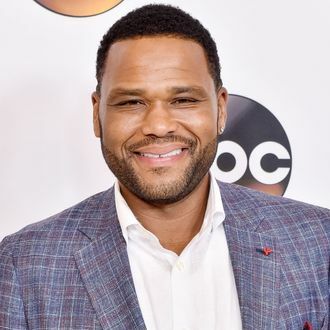 According to Deadline, Anthony Anderson, a human, will host Animal Planet’s upcoming comedy series Animal Review. A mix of field pieces, curated viral videos, and in-studio bits, Animal Review will feature Anderson interacting with “celebrity guests, animal experts and, of course, animals.” Let’s hope the show, which will premiere in 2017, is shot on the set of Black-ish, or else Anthony Anderson will eventually topple over in a sleep-deprived stupor and crush, say, Mr. Bagel, the famous chinchilla.